I would love to share some photos and thoughts on the process of growing and making medicines with Milky Oats. That would be Avena sativa, for those of you who speak Latin! Avena means oat and sativa means cultivated, more or less. 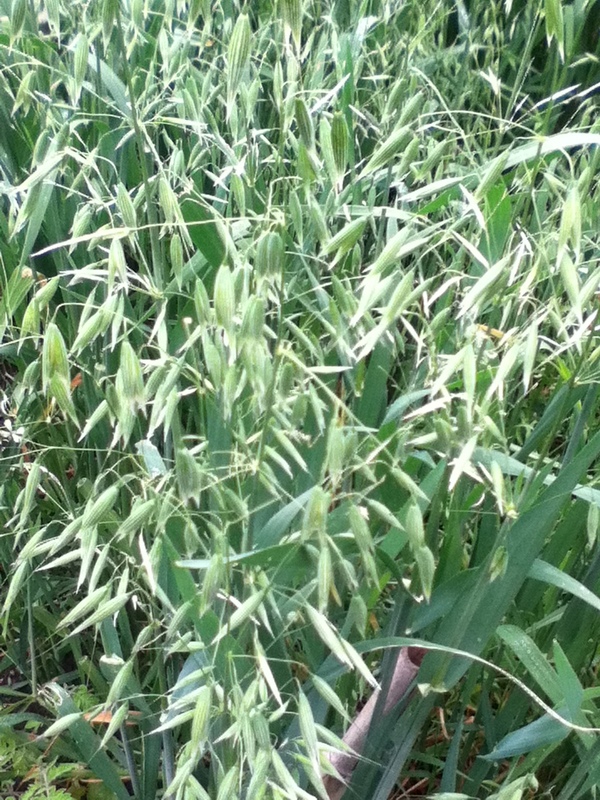 Oats are an easy medicine to grow, an annual with a short growing season and quite hardy. 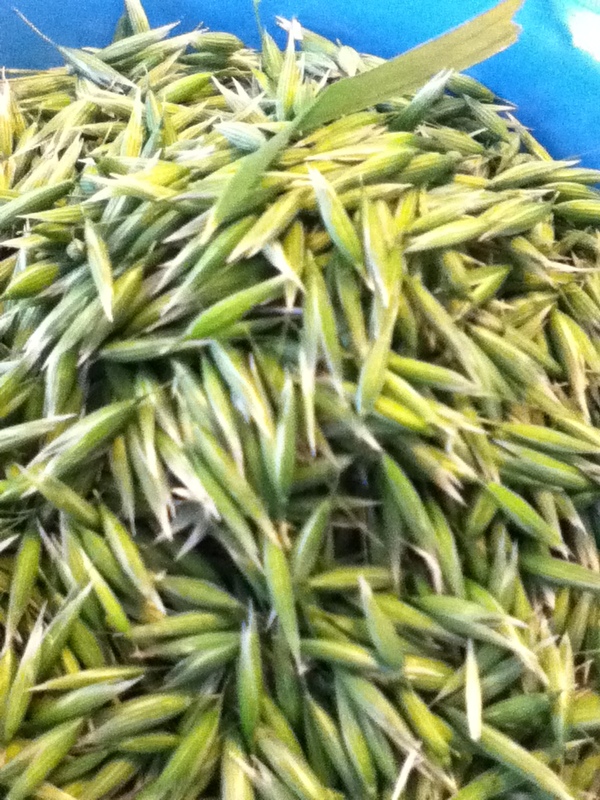 The seed is cheap and easy to come by at feed stores or in bulk bins at the hippie market. I have also ordered a few pounds from Johnny’s. Sow the seed thickly as birds assume you are scattering it just for them! They sprout quickly but then spend quite a bit of time looking like grass, leading passersby to wonder why you devoted so much of your precious garden space to tall grass. But wait! Here comes the oats! When the first little oaty dangles appear you can be excited, but not so excited as to harvest. Oats aren’t like some plants where it is quite obvious when to harvest from 1/2 a mile away, with a big ol’ flashy flower, an enticing scent or a plump fruit. 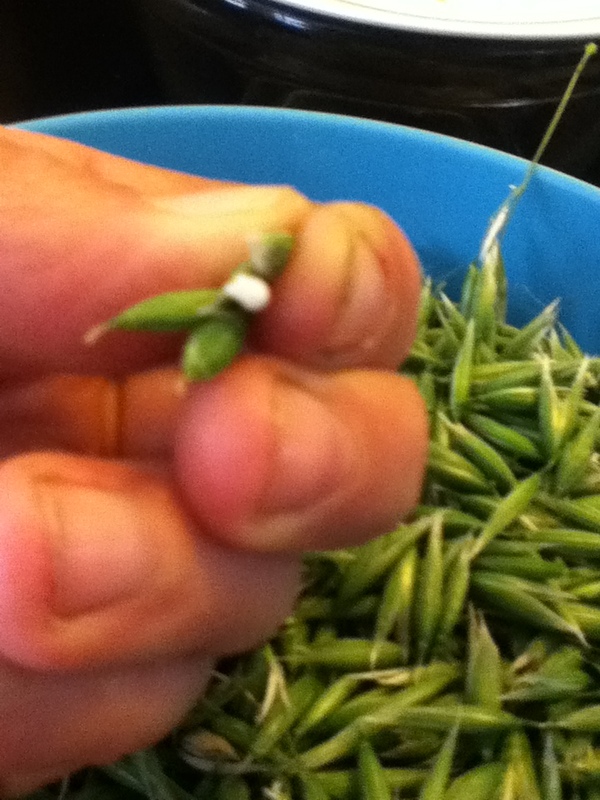 One must observe, and gently squeeze the little oat-seed-to-be, waiting for the miracle. One fine day the milky juice shall exude, and the bees buzz, and the birds sing. Houston, we have Milky Oats!!! The window of perfectness is small here– harvest immediately, and set to medicine making! 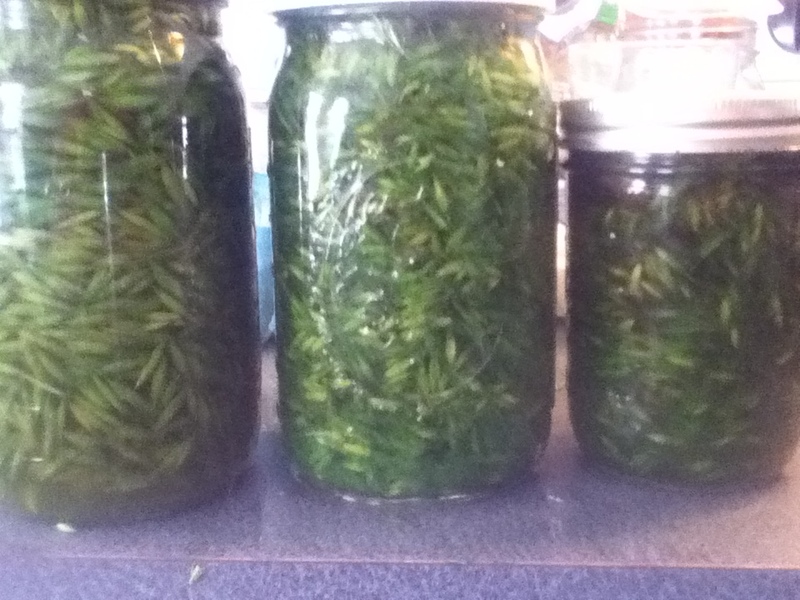 I like to strip off the milky seeds and tincture them right away. If I am near an electrical outlet, I will blend them up in my cuisinart. I make a lot of strong tincture, a little nice mellow brandy tincture for blending, and an elixir with vanilla beans and maple. I dry some of the oatstraw for a decoction or winter syrup, feed a lot to my chickens and use some for mulching in the garden. 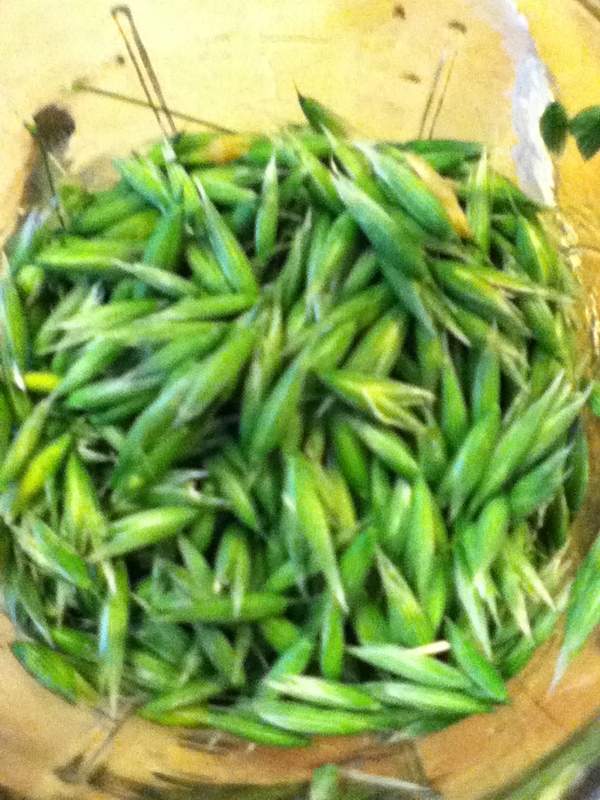 I also like to leave a small amount of the oat plants to go to seed and replant themselves. Just note here: dried Oat seeds are NOT Milky Oats. They are Oatstraw, which is lovely just not the same thing. Milky Oats act as a replenisher for the whole body, especially the nervous system. The keywords are nourishing, gently moistening, rebuilding. I think most people could use a little of this medicine, but specifically those dealing with exhaustion, depletion, addiction, cycles of stress and insomnia, dryness and poor tension management. I blend it with Scullcap for a relaxing evening tincture, with Rose for a heart healer, with Blue Vervain for muscle tension and/or high level of stress. Think of the Oats blowing in the breeze. Think of the strong horse running. Think of a cover crop for the garden of your heart. Fortifying your soil. Previous pollination, foraging, exuberance, joy. 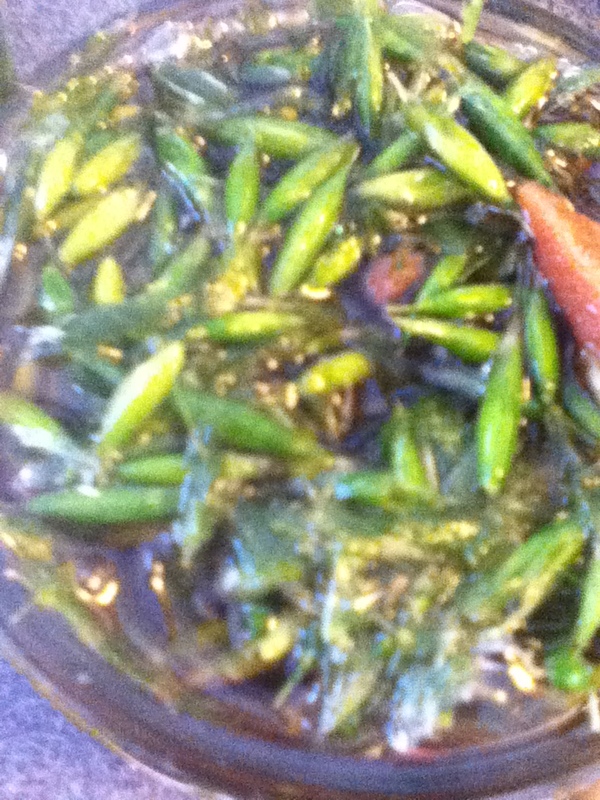 Please – can you provide your recipe for the tincture that you make. I want to grow the oats this year and make my own. time to get milky on the top I gather. I would be grateful and obliged. Hi John, It is not time to get milky on top, it is still snowing here. I am in zone 5a. could you say more about what kind of soil milky oats grow best in? As for soil–what kind of soil don’t they grow in? They are used as a cover crop. I use no-till gardening methods and don’t worry about soil type at all. Thank you for sharing your knowledge. I am very curious about the elixir with vanilla and maple…would you please elaborate on how you make that and how you use it. Thank you again. Very interesting informative article thank you! Are you saying that you put the maple flavoring in the vanilla flavoring directly into the tincture? 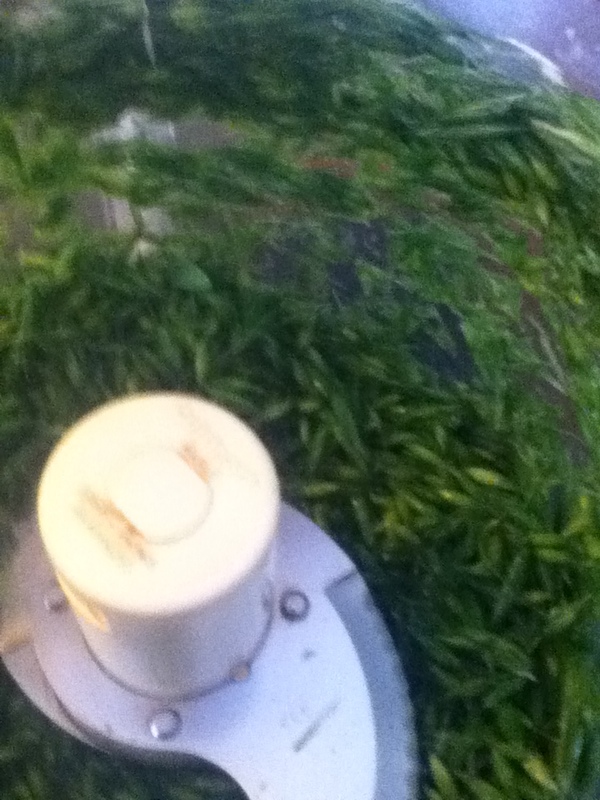 Or do you add them after the tincture has matured and been strained? I don’t use Vanilla flavoring or maple flavoring but real vanilla beans and real maple syrup. I’m more likely to put it all in at once, but it doesn’t really matter. Thanks for your reply. I have real maple syrup and real vanilla so I will follow your lead. It sounds wonderous! Thanks have a great day!